I find myself constantly re-learning the important lessons of faith and obedience. In fact, they are both related to one another. You cannot have one without the other. As I take this time to reflect on my short four day trip to Chile, I realize how much of my life and where we are as a church are related to faith and obedience. As I think about how God even opened this door for Chile, I wonder to myself, “What would have happened if I did not obey the Holy Spirit that early February morning when God spoke to me about Chile?” In light of everything that is going on in my life and the life of the church, it would not have made sense for me to make this trip, but something was stirred within me. Now, after meeting so many great people, leaders and pastors, along with the privilege of witnessing the earthquake and tsunami affected areas, I can say with 100% confidence that God somehow rewarded the steps of faith I took in trying to obey His leading. This is the amazing part of our journey with Christ. He sometimes takes our faltering faith and even our opaque obedience and then turns it around to show us something incredible. I am realizing in greater magnitude that this is how our relationship with Christ is supposed to be lived out on a daily basis. Is there any other way? No wonder, this life with Christ was promised to be abundant and full (Jn 10:10). On our last day in Chile, Pastor Pete, Pastor Ben and I sat down with the leaders of the Pueblos de Dios church on a beautiful ranch near the mountains. We began to dream together about how God wanted to reach the great nation of Chile through the partnership that God forged together. We are thrilled at the prospects. 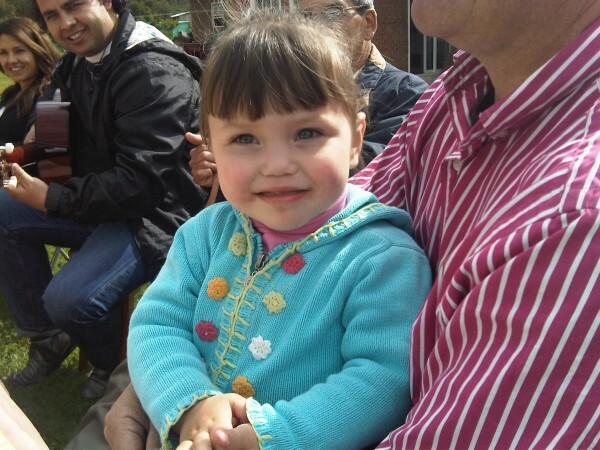 We will be sending a team from HMCC-AA in late December of this year to partner with the members of Pueblos de Dios. 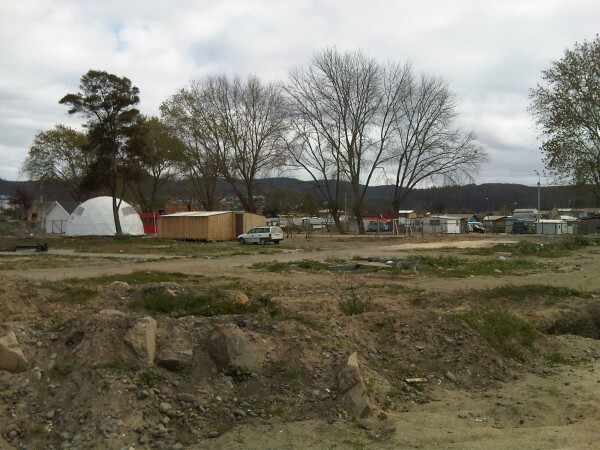 The focus with be to minister to some of the devastated areas in Constitucion and Cauquenes. Our hope is that a church can get started through our joint efforts. 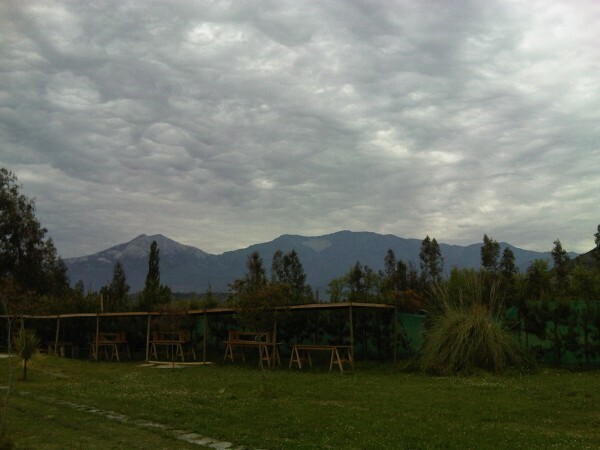 Then, we will do ministry in and around Santiago by working in some of the local churches, as well as linking up with the college students and young working professionals to reach out to several of the universities in Santiago. It is amazing how God orchestrates and brings like-minded people together. As we shared our vision of reaching out to university students around the world, they expressed how God has been placing that burden in their hearts as well. 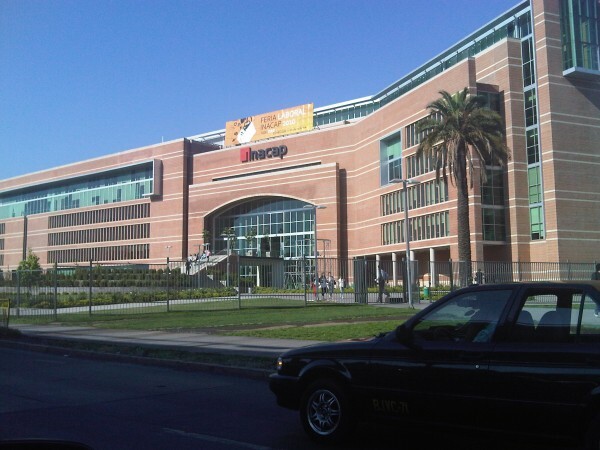 The university students are the future of Chile and we want to make impact for the next generation. As we will see lives being transformed with the Gospel, the transformation of Chile will soon follow. I am thankful that God is truly opening a door for us to re-engage Latin America with the Gospel. Now, as God is already doing His part, we need to do our part – this is the beauty of hopping on the train with what God is doing. All we have to do is enjoy the ride. It is hard to believe that we have been here for only 3 days and God has given us the privilege of witnessing so many different things. On Tuesday, we went to two different locations where the earthquake and the tsunami hit. 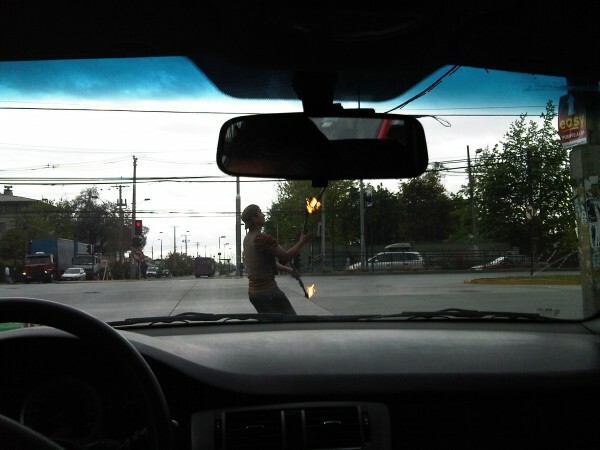 I have seen a lot of pictures on the internet but there is something different about seeing it firsthand. It broke my heart to see the reality of devastation. As we visited two cities, we got an inside looked at the devastation. It was hard to believe that the disaster happened 8 months ago because there was still a lot of destruction and rebuilding that needed to take place. 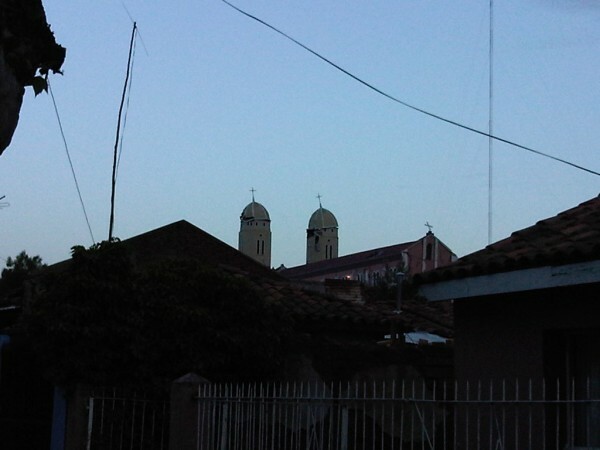 Constitucion was the first city that we visited. 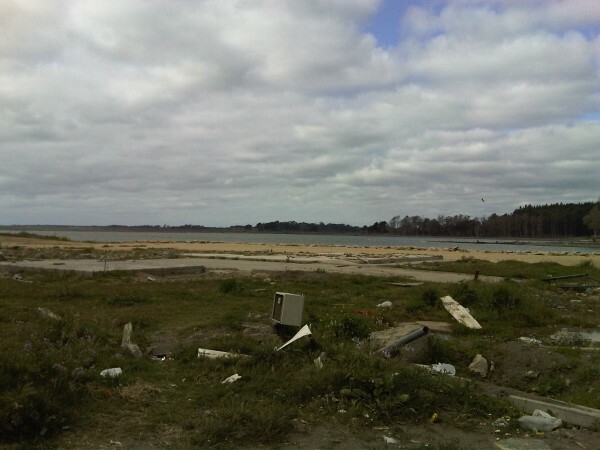 This was the place where the tsunami killed hundreds of people and left a path of destruction. 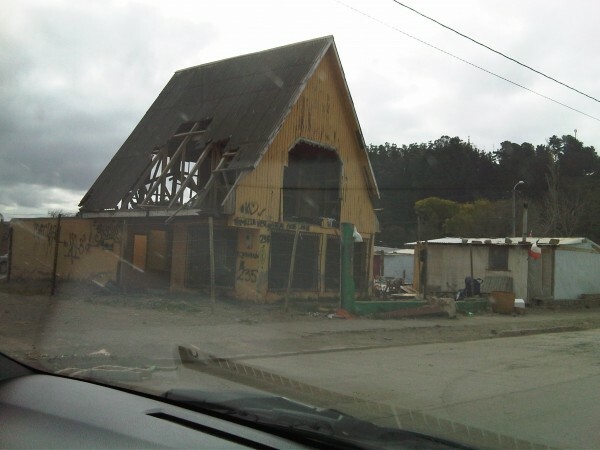 Then we headed out to Cauquenes, where the earthquake literally ripped buildings in half. It is estimated that half of all the buildings in this town were completely flattened. We were told that even though progress has been made, there is still a lot of work to be done. 1)	God’s Creation. 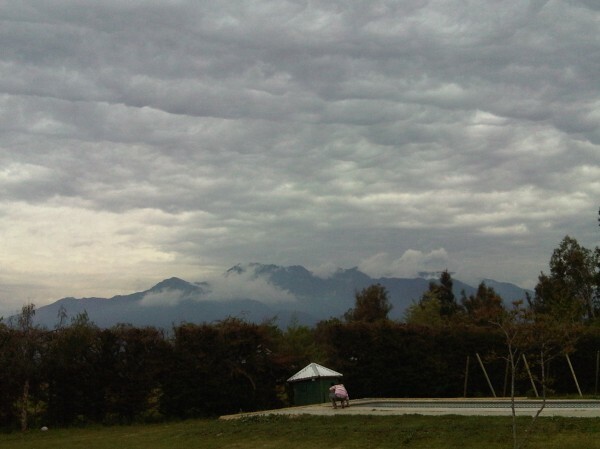 I am just flabbergasted at the beauty of God’s creation here in Chile. Everywhere you look you see mountains and beautiful trees. At one point the sun was setting over the Pacific Ocean as we were driving through the mountains. The mixture of the trees, mountains, blue ocean and the array of sunset colors, just left me in wonder. It was a breath-taking sight and I felt as if God was displaying His glory through all that He created. How can a person not see the handiwork of God? Every time I see a beautiful scenery, God shows me how great He is and how small we are. It keeps us humble. 2)	God’s Compassion. Christ-followers are truly the hands and feet of Jesus. So often people come to understand God’s love and compassion through the grace and love that is shown through His followers. I am constantly amazed at how God’s people are able to love unconditionally and passionately in the midst of tragedy. By witnessing God’s compassion in action, it reminded me of the power of God’s grace. We need more people who are able to display God’s compassion to others. This is really a great evangelistic tool. God’s love is best experienced through people who have experienced God’s love freely and then who share God’s love freely with others..
3)	God’s Church. No matter what size or style, God is passionate about His Church. The church that we are working with here in Chile is powerfully reaching out to the Santiago and beyond to other cities throughout Chile. They have a vision to plant more life-giving churches throughout this great nation. Even when we visited a church in the earthquake affected area, we were encouraged to see their love and passion for Jesus. God never forgets about some of the small churches around the world. Whenever “foreigners” visit their churches, it is a visible reminder for the members that God hasn’t forgotten about them. 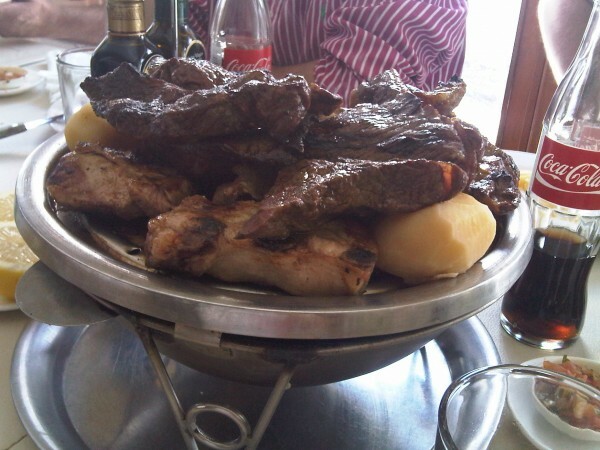 You cannot be a vegetarian and minister in Chile :-) This is the famous Chilean BBQ! After being here in Chile for less than 14 hours, I am more convinced than ever that God has truly opened this door for us as a church. God is doing some incredible things here. We are thankful that God has allowed us to partner up with Pueblo de Dios. Pastor Pete and I have been able to visit several churches and witness all that God is doing through the Body of Christ. I also had the privilege of preaching to the leaders of Pueblo de Dios church. For me it has been a very sentimental experience. I didn’t realize how much of my missions experience has been in Latin America over the years. 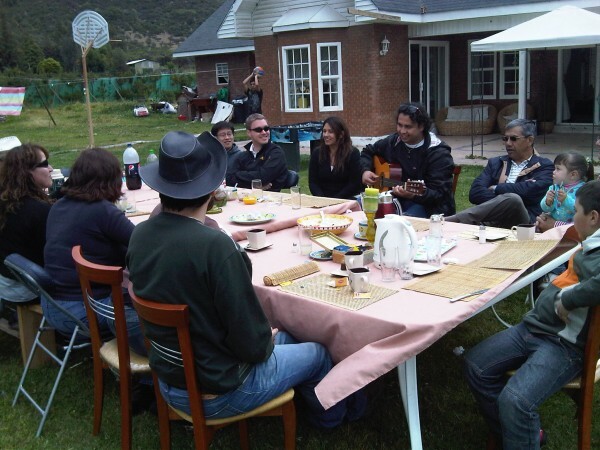 As soon as we landed in Chile, it brought back a lot of good memories from my experience in Peru. Chile is a beautiful country. It has a lot of incredible scenery with all its mountains. The people are also making an incredible impression on me. Whether it is the Latino culture or their love for people, it has been refreshing to be greeted warmly by their genuine love for people (hand shake, hug, hand shake and in that order!). We will be heading out to the earthquake and tsunami affected areas tomorrow. Please keep us in your prayers. Here is a personal video from Pastor Pete and me. Would You Respond Like This? As a psychology and sociology major in college, I studied a lot on human behavior, not only on an individual basis but also on a societal level. It is interesting to note that many of our behaviors are shaped by the things surrounding us, whether it is for the good or the bad. One fascinating aspect of human behavior is our ability to express varying emotions in different situations. It is extraordinary how God designed our bodies. We are able to communicate with people with just our facial muscles. Non-verbal communication makes up a good portion of our interaction with people. Therefore, we can tell a lot about a person or what is going on in their hearts just by watching their reactions to different situations. Recently, in one of my sermon, I showed a portion of the Oprah Winfrey show. Since this is the last year of her show, she has been generously giving various prizes to her studio audience. In this particular show, she announced that the audience would be going to Australia with her and John Travolta. When I saw this clip, I was just shocked at the reactions of the people in the audience. There was a lot of jumping, screaming, tears, shouts of joy and people just left speechless. Please watch a brief clip of the show below. Please be sure to notice the people’s reactions, particularly their facial reactions. If you want to see the original clip of her show, then click here. 1)	Emotions reveal what we value. It is amazing to meet and even hear about all the haters in the Church (and outside of the Church) who would criticize people who get “too emotional” in church. I think from this video we can conclude that the main issue should be asking the “why” question – “why are the people reacting that way?” If you had no idea of what was going on, then you would probably conclude that they were “crazy” for acting very “emotional” (did you see that one woman who was crying). But the free trip to Australia revealed their experience of grace – getting a free trip to Australia out of the generosity of Oprah’s heart when they did not deserve it, which caused them to react with such joy. We all value grace and when we experience it, we respond emotionally. Another way to look at this is to see what movies made you cry. There is probably something about that character that you identified with. They probably experienced something (unconditional love, forgiveness, courage, sacrifice, etc) in the movie that you value and long for. This is what makes a movie powerful and emotionally-driven. 2)	Emotions help us to see the state of our heart. My wife will tell you that there are a lot of times when I do things half-heartedly. Even with things that are important such as our date nights or even the chores. Now, I know that I can blame my tiredness or even my busyness, but ultimately it comes down to my heart and how I perceive things. When I redirect my focus and priorities, I begin to see how important these things are. 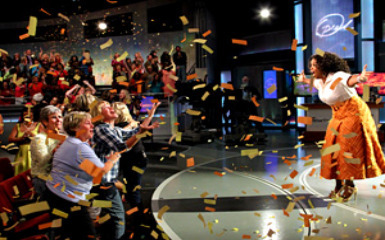 As you watched the Oprah video, I want to challenge you with a question – “when was the last time you experienced this kind of joy and excitement when someone receive Jesus Christ as their Lord and Savior?” Can you imagine if we had this kind of celebration because God is exalted and His Kingdom is expanded? Maybe we are not experiencing this kind of joy because we have not been sharing the Gospel. There are times when God needs to resuscitate our hearts so that we can see and feel what is important to Him. I challenge you to watch the above video again, but this time with the context of Oprah announcing that someone came to know Jesus Christ as their Lord and Savior. Oh how sweet the celebration will be when the vision of the Book of Revelation becomes a reality. But guess what? We don’t have to wait until then, we can experience it every single day. We just need to re-orient our values and priorities. One of the things that I notice from all my retreat attendance over the years, both as a participant as well as a speaker, is that what happens after the retreat is just as important (if not more important) as to what went on during the retreat. There are many people who get jaded or cynical about retreats because after the retreat “high” they go back to their lifestyle without any hope for transformation. People start to question and wonder if what they have experienced is genuine. Therefore, it really comes down to perspective. If you look at one retreat as “the ultimate” experience that will change us, then you will be very disappointed. In fact, the Christian journey is marked by little wins along the way rather than one huge win. Every blessing that we received from every retreat is like a “stake” driven to the ground. They become the markers for us as we look back at our lives and see God’s Faithfulness. They tell a story of how God has worked in our lives, and everything in between those markers will have a lot of ups and downs. This is why at the end of the retreat, we always say, “This is not the end, but just the beginning.” It is the beginning of living a life in light of the convictions that we have received. 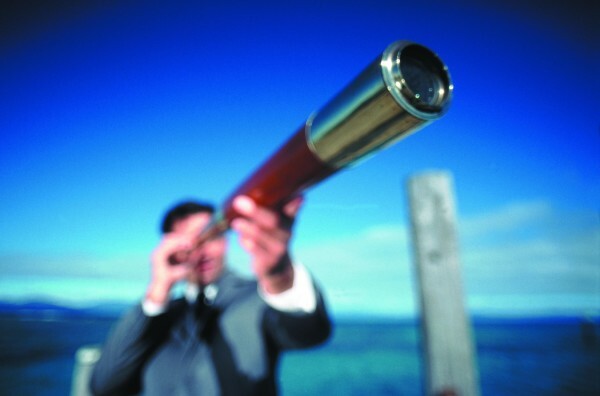 It is the beginning of a new direction that God is point us towards. It is the beginning of a new perspective and attitude that we are choosing to live by. 1)	DEVOTIONS. When everything is said and done, our walk with God must be sustained through a vital and vibrant relationship with Christ. If we are not keep up with our time with God through Bible intake and prayer, then it will be very hard to maintain the momentum. Have you ever worked out and then stopped for weeks and tried to get back into the flow? Yup, exactly. 2)	DISCIPLESHIP. Part of our journey with Christ is learning how to walk with someone who is a little further in the journey than us. Usually at retreats, God exposes our weaknesses and different areas that we need to grow in. This is when finding someone to help us along in the journey will be very beneficial. Don’t be shy. Just ask someone that you respect to disciple you. You will not regret it. It can very well transform your life. 3)	DEPENDABILITY. Find someone that you can be dependable to and be dependent on. In essence it is finding a good accountability partner. Remember that we are able to achieve our goals better when we have someone checking up on us. Someone who is dependable and who will be faithful in making sure that we are staying true to our commitments. Remember, this only works if we are: consistent and challenging. 4)	DEVELOPMENT. After each retreat, God usually challenges us with an area of our lives where we need to grow and develop. For example, God might be convicting you to grow in the area of Bible knowledge. It is crucial that we find practical ways to apply these convictions in our lives. We need a clear game plan to advance forward. This is when a discipler will be very helpful to have so that they can help navigate these steps with you. 5)	DEEDS. One thing that keeps the blessings and convictions fresh after the retreat is when we are able to serve others. There is something about giving out of the overflow of blessings that not only liberates us, but it solidifies the blessings. The best context to do this is in our LIFE Groups. Remember they are like mini-church plants. Therefore, if we are able to build up our LIFE Groups, we are actually building up the church. These are exciting times. God has blessed us tremendously at this retreat. We want to continue in the momentum that we have gained. Let’s continue to ride the wave and see where the Lord will lead us throughout this year. If this retreat is a glimpse of what God is going to do, then hold on because the best is yet to come. 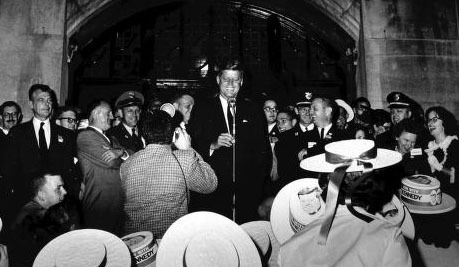 Fifty years ago, at 2AM on October 14th 1960 at the steps of the University of Michigan Union, John F. Kennedy gave a speech inspiring students to give up two years of their lives to help people in developing countries. From that moment on, the Peace Corps was started to mobilize volunteers to address various global issues in countries around the world. Today is the 50th anniversary of John F. Kennedy’s speech. As I was reflecting on this bit of news, I was reminded of the importance of college students in starting movements. There is something about the college years where things such as idealism, independence, and a desire to make an impact can be the fuel to some radical decisions. Sometimes the students’ willingness to take risks, coupled with their lack of attachment to things and their mobility, cause them to be good candidates to take the Gospel to various places around the world. It is our desire that in our church, we will see not only college students, but also single adults, married couples and families who are captured by the Gospel that they are willing to obey God, “whatever, whenever, whichever, and wherever” God leads. This is part of the radical call of a disciple of Christ – it is simply a follower of Christ, a person who is willing to walk in the footsteps of Jesus. If the world can inspire people to give up their lives to go to different parts of the world to help make it a better place, then how much more should a Christ-follower, who has the message of transformation, be willing to give up their lives to bring the Gospel to the nations. It is a sad day, when the world can produce more people to surrender their lives and sacrifice two years of their lives to make a difference. 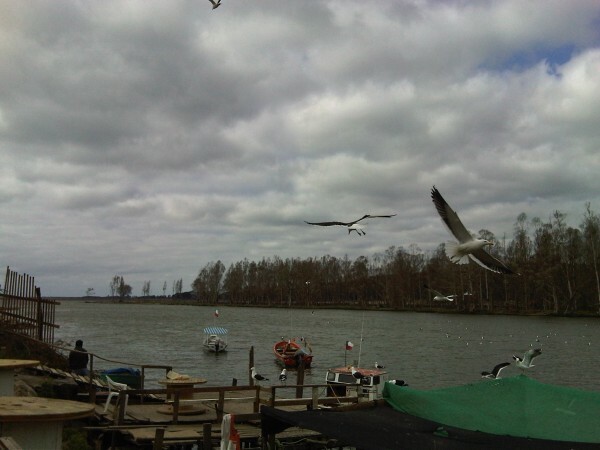 Often times, people are motivated by humanism and altruism, which always exalts the self. But what would it be like if Christ-followers, who are dead to themselves and but alive in Christ surrendered and sacrificed their lives to serve Christ? I think people would be able to see the worthiness of our King, for whose sake we would gladly lay down everything because He is our greatest treasure. “I want to express my thanks to you, as a graduate of the Michigan of the East, Harvard University. I come here tonight delighted to have the opportunity to say one or two words about this campaign that is coming into the last three weeks. You can listen to the actual speech here. 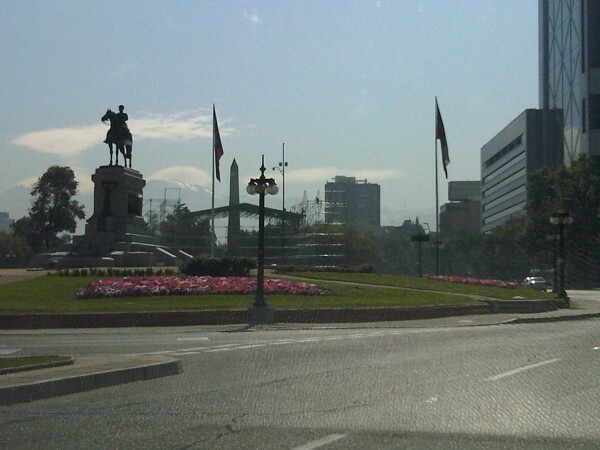 It was early February 2010, during one of my times in prayer, when God placed the nation of Chile in my heart. At first it was a passing thought, but then I couldn’t get the impression out of my mind. I felt this tremendous burden for Chile. 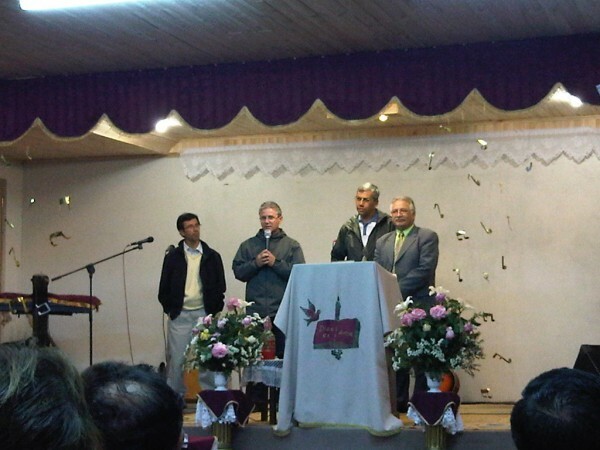 Therefore, I ended up praying for Chile – the people, the nation, and the churches in Chile. 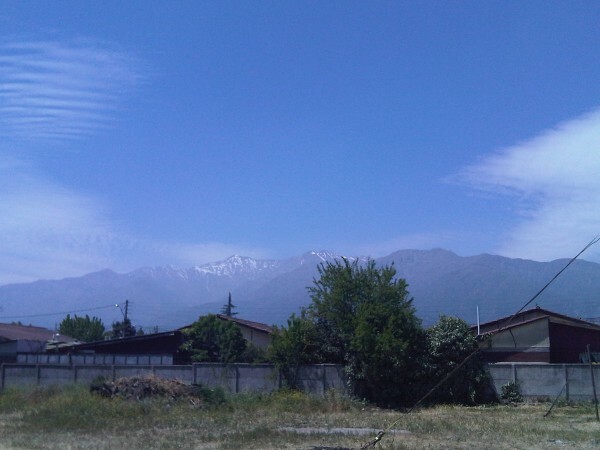 Then, several weeks later on February 27, 2010, I went on the internet to check up on world news and I discovered that an earthquake of 8.8 magnitude hit near the city of Concepcion, Chile. I had mixed emotions, as I read up on the chaos that was ensuing in Chile. 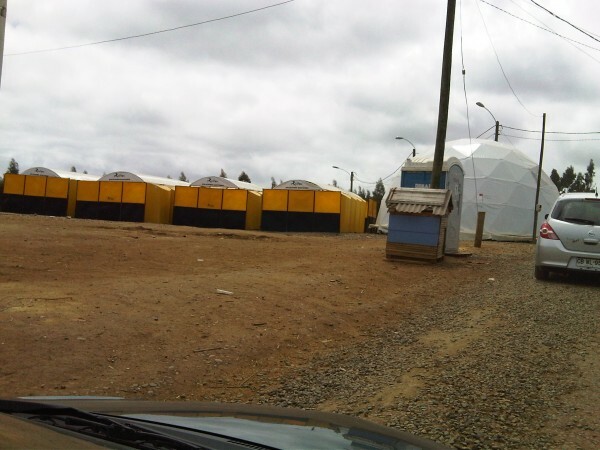 My heart was breaking for the Chilean people as I saw the pictures of the devastation. But also, I felt sobered by the fact that God was preparing my heart several weeks before the incident to respond in prayer for Chile. I could not deny that this was something God was doing. Usually in these kinds of tragedies, the Church of Jesus always rises up to help, as well as other humanitarian organizations. For some reason, I was compelled to do something, but I felt a bit helpless. Not only was I thousands of miles away in Indonesia, but I had no personal contacts in Chile. In the midst of this, I felt God impressing on my heart to allow things to settle down. When all the immediate hoopla of meeting the needs of a tragedy recedes, there are many more on-going needs that require attention after people leave the area. 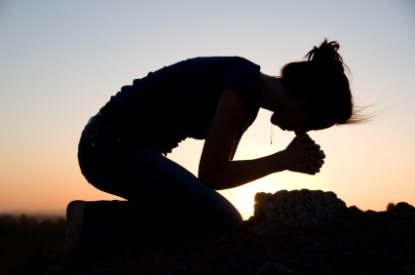 I sensed that this is what God wanted us to do, therefore all I could do was to pray. Then I quickly contacted a good pastor friend who has connections all throughout Latin America and asked if he knew of any pastors or good churches in Chile. After a recommendation, I started to correspond with the Chilean pastor and talked about doing a vision trip in September or October. For most of the summer, Chile was on the back burner until August 5, 2010, when news broke out about a collapsed mine with 33 miners trapped 1.5 miles down in the earth inside a small shelter. This sparked more concerns and prayers for Chile. Now finally, with the vision trip set to take place in a couple of weeks and a missions trip at the end of December, the interest in the outcome of the rescue efforts of the 33 miners is at a greater level. I came home yesterday late night after some meetings and saw the live streaming of the 1st three miners being rescued. It was very emotional. It is incredible to think that they were trapped in the shelter for over 2 months. I couldn’t help but to think about the analogy of the joy and thankfulness a person experiences when they are set free from darkness and their sins because of what Jesus Christ did on the cross. 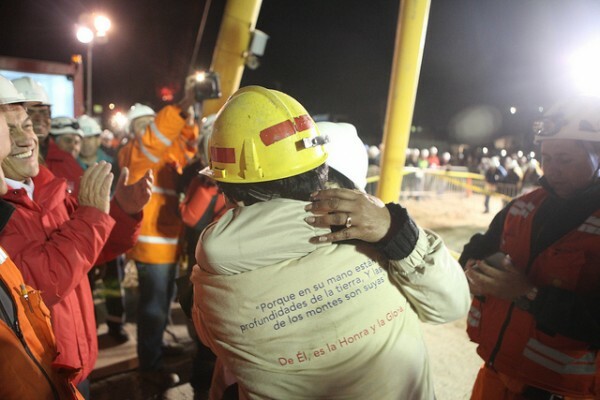 I also noted the joy and tears that family members and loved ones expressed as they saw and embraced the miner coming out of the rescue cage. Truly, all of heaven will rejoice as people experience freedom in Christ. This is the message of the Gospel that we, as a church will passionately share as we go and partner with the church in Chile. It is truly a kairos moment, which we are humbled and grateful for to our Redeemer and Ultimate Rescuer. We have been blown away and humbled at what God is doing with the college students in our church and around the world. Not only has this year’s freshmen been the largest we have had in HMCC-AA’s 14 year history, but we see a new generation of students who are passionate and hungry for God. It is in these moments, I am reminded how important the mission is to reach out to college students with the Gospel. This generation of students will be the future of tomorrow; and as they enter into the various spheres of society, we are praying that they will be the salt and light of the world. I am more certain of my calling to minister to college students than ever before. It has been an awesome month and half of sharing God’s Word and ministering to this new generation of students. The momentum is building. We have been amazed at how many students have already signed up for our Undergraduate College Retreat this coming weekend. HMCC of Chicago, with students from Northwestern and University of Illinois-Chicago will be joining us for this important time. We already have the largest number of students signed up for the Undergraduate Retreat in the history of this retreat. Therefore, all the leaders are pretty pumped, knowing that God is up to something big. 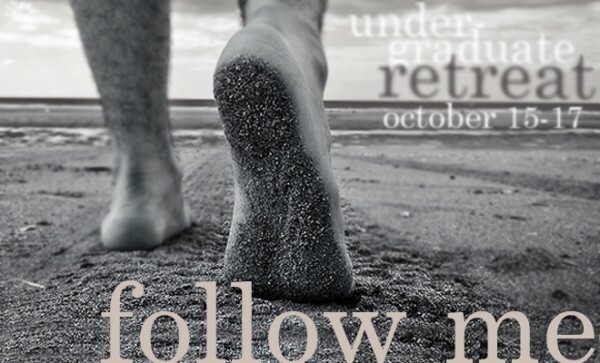 The theme for this year will be, “Follow Me.” We are going to focus on the call that Jesus gave to His early followers. This call to follow Christ is the same call that we need to hear in our generation. We are expecting God to move powerfully and for the students to respond in obedience to take the Gospel to the ends of the earth. If you are a student from HMCC-AA or HMCC-Chi and have not signed up yet, then please do so. Space is already beyond capacity, but we are doing everything possible to make more room for any of you who want to join us. Please don’t forget to join us for the retreat prayer times throughout this week. Remember: “Whenever God wants to do something powerful, He will cause His people to pray.” We are expecting great things. Here is the promotional video for those of you who are still not convinced. I hope to see you there. This quote is a poignant reminder of the power of vision and passion in a person’s life. Many of us want to do great things, and we want our lives to count for something greater than ourselves; but too often, we find ourselves confused, aimless and feeling indifferent. We were all created for a purpose. In fact, the writer of Ecclesiastes said that God has put “eternity in the hearts of men” (Ecc 3:11). There is a deep longing and hunger for things that are eternal. This is why our souls have an insatiable craving for God, who is the “eternal, immortal, invisible, the only God” (1 Ti 1:17). As we get connected to God, we will inevitably want to be linked with His purposes. If we want to accomplish and fulfill God’s purposes here on earth, then we will have to participate with what God is doing with His Church. The Apostle Paul in his letter to the Ephesians says, “His intent was that now, through the church, the manifold wisdom of God should be made known to the rulers and authorities in the heavenly realms, according to his eternal purpose which he accomplished in Christ Jesus our Lord” (Eph 3:10-11). When the Church does what it is called to do, then God’s eternal purpose, which he accomplished in Christ, will be on display. So now the question is, “What is the Church called to do?” More specifically, “What is God calling HMCC to do in this generation?” This is what all the pastors, in all the various HMCC sites will be sharing about this coming Sunday. It is the 2020 Vision Sunday. I am excited to share about what God has placed in our hearts to do, as a church for the next 10 years. Even though we have a clear vision, it is crucial that we are constantly listening and discerning the will of God every step of the way. I am praying that God would put a longing in our hearts “for the endless immensity of the sea.” As we build God’s Church, it is not just about the tasks and doing things, but rather we are hoping that there will be a desire for God’s eternal purposes to be accomplished in our lifetime. And ultimately, it will all be for His glory. Lord, increase our faith so that we can step out in obedience. As I have been trying to get back into the rhythm of ministry here in Ann Arbor, I am doing everything possible to discern God’s direction for our church. 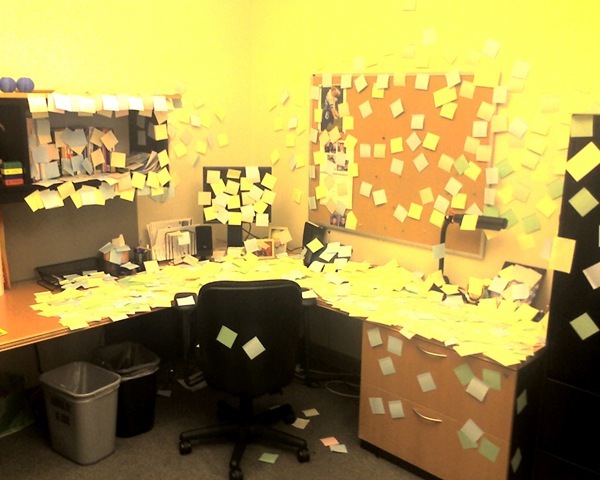 It is a temptation to jump right in and do things as “business as usual” since things are so established at HMCC of Ann Arbor. But more than any other year in our church’s history, I get this sense that we, as a church need to hear God’s voice and obey. This is why I took some time to reflect, reevaluate and then respond to God’s promptings. As a church, God is placing three things on our plate of responsibility for this coming year. The first is disciple-making. One thing that I have learned in my time in Indonesia is that disciples have to be made if we want to have a church that is sustainable and vibrant. It is hard work. This is why it is always easier to draw a crowd, rather than make disciples. But without radically committed disciples, we will never have a strong church. Secondly, God put an “international mantle” on our church. We knew that God was up to something when He started to bring many international students to our church in the last 5 years. It has always been our prayer that God will use our church to reach the nations, and slowly, God is answering that prayer by bringing the nations to us. There are close to 125+ nations represented here at the University of Michigan. Lastly, God is putting a hunger in us to see more of His power in our church life. We need God’s power to invade every single part of our lives. Too often we try to fill in various parts with activities and gatherings. Therefore instead of genuine transformation, we end up experiencing either sin management or superficial and temporary change, which leaves everyone disillusioned and disappointed. I would love to see the kinds of miracles and transformations that are documented in the Bible. This is why we need to pray and ask God to show His power in our lives and in our corporate gatherings. 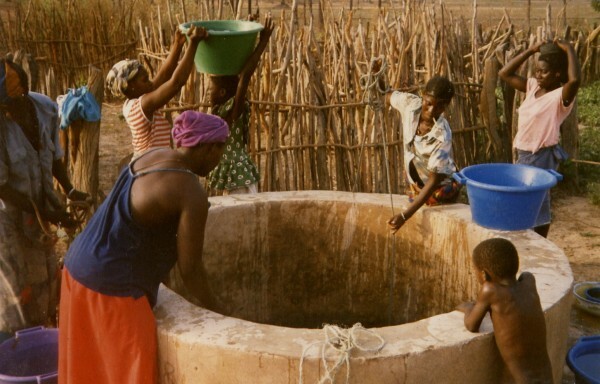 God describes his salvation (deliverance, victory) as being contained in a well and all we have to do is draw from it. Therefore, this coming year with the various convictions that God has placed in our hearts we want to, by faith, DIG (Disciple-making, International mantle, God’s power) deep! Already within the short two months of ministry in this new school year, God is confirming these things in our lives. We are seeing people more longing for discipleship and making disciples. We are seeing more international students come out to our church. In fact, we have stepped out in faith and re-structured Global Access (our international ministry) to accommodate for the growth. We have the highest number of freshmen coming out to our church in HMCC-AA’s history – almost double the size of our largest class in the past. People are thirsty for God’s power to be manifested in their lives. We don’t know where all this will lead to, but all we know is that God is challenging us to DIG deep. When everything is said and done, it will not be us trying to do things for God, but rather the testimony will be that in spite of who we are with our weaknesses and frailty, God prepared things for us and He simply invited us and gave us the privilege of participating in His great work. What an awesome God we serve! Recently, I have been thinking about some important people in my life who have committed themselves to pray for me, my family and my ministry. I am truly thankful for the prayer warriors that God has provided in my life. In many ways, if any good has come forth from my ministry to various people throughout the world, I believe it is a direct result, not only of God’s grace but also because of the people who are praying for me. I am forever indebted to all of you (even for those of you that I don’t know about). David Staal, who serves as the president of Kids Hope USA, a national organization that partners local churches to provide mentors for at-risk students, wrote an article titled, “Find Your Own Pearl.” Staal shares the importance of having prayer warriors in a ministry. “I want to share a ministry secret. Not my secret, mind you. This secret is much better. And the best part is that you can put it to use whenever you wish. Maybe you know about it already. Many do but, unfortunately, a small number actually do anything about it. Soon she began to pray for every crusade, traveling to each city without attracting attention. Eventually, crusade organizers noticed that her name consistently appeared on volunteer lists. Arrangements were made for her to travel with the crusades so she could continue this critical role. Some accused Pearl Goode of following after Billy Graham to gain fame. In her 1963 article she invited her critics to spend an entire night fasting and alone in prayer ‘to see who gets the glory.’ An amazing prayer partner for an amazing ministry. You know the secret, so now what? Find your own Pearl. Search for someone to consistently and intentionally pray for you as a leader and your entire ministry throughout the year to come. He or she prays every week, and you share needs, concerns, and reasons to celebrate. Or imagine what might happen if you recruited a prayer partner for every room in your ministry, or each small group leader. Should a teacher share a lesson with children without someone praying specifically and fervently for him or her? Billy Graham didn’t try. What a great joy when we are able to find our own “Pearl” in our ministry. They are a true treasure. I am praying that there will be more Pearls in our church. As more people are praying for me and the ministry, the more anointing and power I will be able to experience. What a great partnership! I am blessed beyond measure. I still remember the day when Christina asked me, “Why is it that churches rarely preach on the topic of abortion?” For some reason, I really didn’t have an answer; well I did, but it was an inadequate answer for her intensely poignant question. The thing that kept on popping up in my mind was the divisiveness of the issue. Not every Christ-follower is against abortion (I will not have time to address the oxymoronic nature of this stance). Not every Christ-follower is gracious to those who have had an abortion. Not every Christ-follower knows how to defend theologically and pragmatically their stance on pro-life. Not every Christ-follower knows which stance to hold in terms of biblical truth. Hence, it leads to the divisiveness of the issue. But the more Christina and I dialogued, the more I came to the conclusion that if the Church of Jesus never addresses this issue, then who will? As I write this blog post, I am very aware that in the Church today there are many women who have had an abortion or who are thinking about having one at this very moment. To you, I would say that God’s love, grace and mercy are sufficient for us. Not only is God’s forgiveness immense, but He is able to take our mistakes and failures and redeem them for something good. It is His promise and God has delivered on His promises every time. To the men, I would say the same thing to you because you have participated in the act of conceiving the baby. Whether you have coerced the woman in getting an abortion or if you just stood silently and abrogated your responsibility, you are in need of God’s love, grace, mercy and forgiveness, just as much as the woman. It is imperative that we do not categorize sin. Sin is sin before God; therefore abortion is not necessarily more sinful than other sins. But, the consequences of a particular sin do have different repercussions on a person. In the midst of this, we must remember that our God is greater, bigger, and stronger. This is where faith and hope come in to the picture – faith to believe in God’s Word, which is truth that sets us free, and hope to trust that God will use all things for His glory and our good. I recently came across a video of Gianna Jessen, which inspired me to write this post. It reminded me of the importance of every Christ-follower to stand up for life and speak for the ones that cannot speak for themselves. I found it amazing how a “weak” woman in the eyes of the world was able to speak so many high-powered people with God’s truth and love. Her life story of being an abortion survivor is something that no one can argue against. This is why it is a powerful testimony that is being used by God to touch many lives.